2) The deck area in front of the Lodge, which has a small Gazebo in the forefront of the Shotover River. We generally recommend this for smaller ceremony numbers of between 40 to 50 Guests. In the event of bad weather a smaller group of 40 to 50 guests can move to the covered deck area for a ceremony. A marquee can be organised to be erected on the lawn next to the Lodge for both smaller or larger parties up to 50 guests. If weather permits, a walk and fork style on the decking is another option but with a marquee erected as a back up for inclement weather. You can hire the external Lodge grounds from between 11.30 am and 5.30 pm for a day function or from 11.30pm to 11pm for a full day. Again the internal space at the lodge is not available for hire for wedding receptions but we do offer hosted B&B accommodation in our 2 Superior Double rooms. 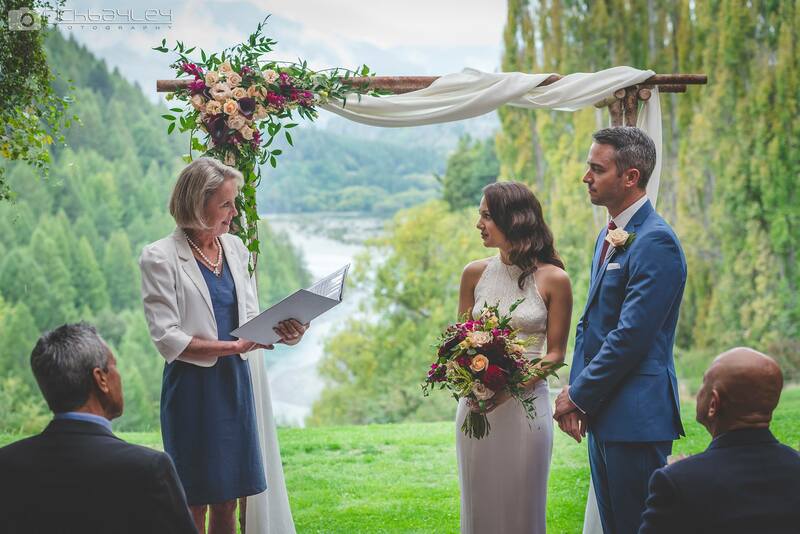 The Lodge offers the bridal party guests an accommodation option for their stay in Queenstown. We have 2 Superior Rooms for overnight stay for up to 4 guests of wedding party. If hired these two rooms can also be used by the Bridal party on the day of the wedding to get ready in. 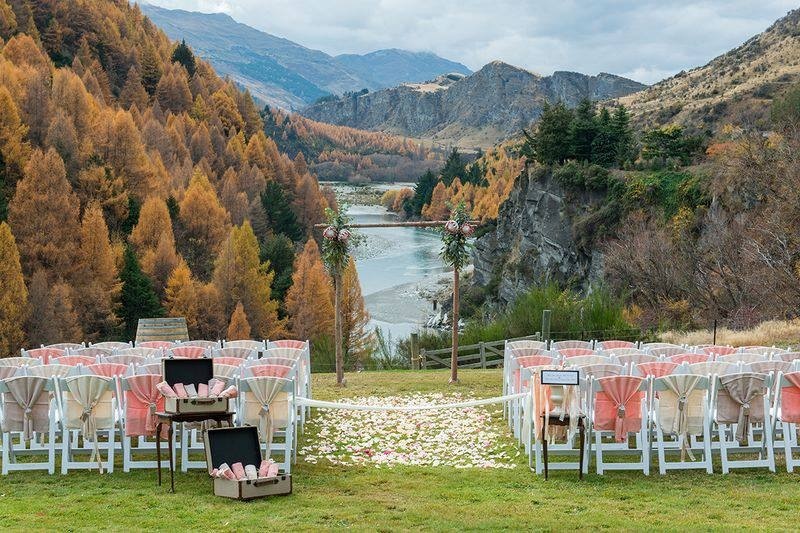 As Queenstown is only minutes from The Canyons Lodge, it is easy enough to head into town after the reception finishes. We have to consider our neighbours and consent restrictions and can only have music playing until 10.30pm with all guests having departed by 11pm. We are also unable to have any amplified music due to noise control. Please refer to our links page for preferred suppliers in the Queenstown area.